The Supreme Court of India (Supreme Court) in Mobilox Innovations Private Limited v Kirusa Software Private Limited (Mobilox v Kirusa) has finally settled the widely debated question of what constitutes “existence of a dispute” in the context of applications filed by operational creditors for initiation of corporate insolvency resolution process (CIRP) of corporate debtors under the Insolvency and Bankruptcy Code, 2016 (IBC). This path breaking judgment follows close on the heels of another landmark ruling of the Supreme Court in M/s Innoventive Industries Ltd. vs. ICICI Bank & Another, which was rendered in the context of a CIRP application filed by a financial creditor. About Mobilox Innovations Pvt Ltd– Whether you need to create a brand from scratch, including marketing materials and a beautiful and functional website or whether you are looking for a design refresh we are confident you will be pleased with the results. Mobilox is a service provider. Mobilox has been conceptualized as the first Mobile Technology Company of India with a vision of getting mobile as a media its due credit. About Kirusa– Internet powered Voice Solutions for Mobile Operators and their Subscribers. The proliferation of data elicits a generation of OTT apps that partially address the communication challenges of mobile users. Kirusa’s hybrid OTT approach, with telco and internet connectivity, can result in an entirely unique suite of app-based solutions that mobile operators can roll out to their subscribers. Inspired by the idea of virtualization of numbers, GSM-VoIP call conversions, and visual voicemails, we’re focussed on technologies and innovations that define the next generation telecom experience. Mobilox engaged Kirusa for providing various services in relation to conduct of tele-voting for a TV program. The parties also executed a non-disclosure agreement (NDA) under which Kirusa had certain confidentiality obligations towards Mobilox. Kirusa raised monthly invoices on Mobilox for services provided. However, Mobilox informed Kirusa that payments against such invoices were being withheld due to breach of NDA by Kirusa. On 23 December 2016, Kirusa sent a Demand Notice to Mobilox under Section 8 (1) of the IBC. Mobilox responded to the Demand Notice stating, inter alia, that there was existence of serious and bona fide disputes between the parties, including breach of NDA by Kirusa, which was already brought to Kirusa’s notice long back on 30 January 2015. Subsequently, Kirusa filed an application before the NCLT, Mumbai for initiation of CIRP of Mobilox. NCLT, Mumbai dismissed Kirusa’s application on the ground that Mobilox has issued a Notice of Dispute. An appeal against the NCLT order was filed by Kirusa before the National Company Law Appellate Tribunal (NCLAT). NCLAT allowed Kirusa’s appeal on the ground that Mobilox’s reply to the Demand Notice did not raise a dispute within the meaning of Section 5(6) or Section 8(2) of the IBC and that the defence raised by Mobilox was vague, got up and motivated. Incidentally, this was the first NCLAT ruling on the question of what constitutes a “dispute” and “existence of a dispute” under IBC. Against the said order of NCLAT, Mobilox went in appeal before the Supreme Court. Interpreting the expression “existence of a dispute” occurring in Section 8(2)(a) of the IBC, the Supreme Court allowed Mobilox’s appeal holding that there was a dispute in existence which was sufficient to defeat the CIRP application filed by Kirusa. The highpoint of the Supreme Court ruling is that the word “and” occurring in Section 8(2)(a) of the IBC must be read as “or”. The issue really was that the word “and” in Section 8 (2)(a) of IBC suggests that a dispute between the operational creditor and the corporate debtor will be in existence only if a suit or an arbitration proceeding on the dispute is pending before receipt of Demand Notice. To highlight the hardship, the Supreme Court cited an example that in case of a dispute that arises a few days before triggering of the CIRP, there would be no time to approach either an arbitral tribunal or a court even though a dispute may exist. Pertinently, the Supreme Court takes note of the fact that law permits long limitation periods, where even though disputes arise, they do not culminate into a suit or arbitration proceeding for up to 3 (three) years. The Supreme Court reviews the entire scheme relating to CIRP applications filed by operational creditors and holds that what is important is that the existence of the dispute and/or the suit or arbitration proceeding must be “pre-existing” i.e. it must exist before the receipt of the Demand Notice. The Supreme Court holds that while determining “existence of a dispute”, all that the NCLT is to see is whether there is “a plausible contention which requires further investigation and that the “dispute” is not a patently feeble legal argument or an assertion of fact unsupported by evidence.” While opining that “a spurious defence which is mere bluster” should be rejected, the Supreme Court adds a word of caution – while determining whether dispute exists or not, the NCLT is not required to satisfy itself that the defence is likely to succeed or to examine the merits of the dispute. 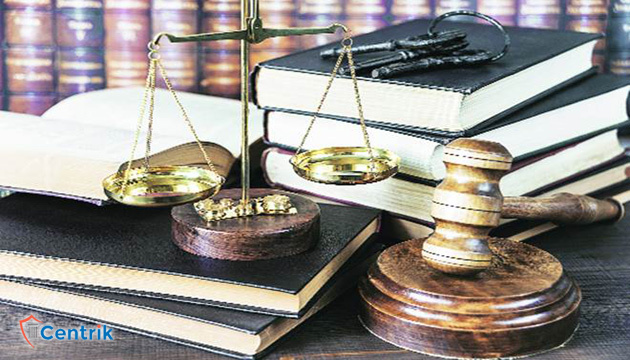 So long as a dispute truly exists in fact and is not spurious, hypothetical or illusory, the application of an operational creditor must be rejected by the NCLT. One of the arguments advanced by Kirusa was that “dispute” between the parties must relate to one of the three sub-clauses mentioned in Section 5(6) of the IBC i.e. it must relate to existence of the amount of the debt; or quality of goods or services or breach of a representation or warranty. This contention was rejected by the Supreme Court on the basis that the definition of “dispute” was an inclusive one and that the present case was not one where a suit or arbitration proceeding had been filed before receipt of Demand Notice, only in which case the dispute must “relate to” the three sub clauses of Section 5(6). Since the inception of the IBC, the meaning of the expression “dispute” and “existence of a dispute” has been a hotly contested one, giving rise to conflicting interpretations from different benches of the NCLT. While the NCLAT ruling in Mobilox v Kirusa did bring about some semblance of uniformity in interpretation, a conclusive ruling by the Supreme Court has finally settled this question. Innoventive Case brought a paradigm shift in IBC, whereas Mobilox case has helped in interpreting certain expressions which is seen as a major change in the law enacted. IBC being a new law is attracting a lot of attention and amendments. This is a positive sign of a growing economy which is ready to adjust as per the changes in the society or per se business sector giving a boost to ease of doing business.